The House of Representatives is voting today to make all VA employees at-will. In addition to stripping due process rights from 350,000 VA workers, there is a danger of similar efforts spreading to entire federal government. Please take 5 minutes to call your member of Congress at 855-976-5397. Tell your Representative to vote NO on H.R. 1994. We have sent you this email because we know we can count on you. You have contacted your lawmakers in the past and you know how important these rights are for government employees. With your help, we can save due process for VA workers. Please act NOW to stop these bills from becoming law. Call your lawmaker at 855-976-5397 and tell them: protect due process rights for VA workers and vote NO on H.R. 1994! Come out this coming Mon. Aug. 3 from 7:00-9:00pm for an organizing meeting in preparation for the upcoming Sat. 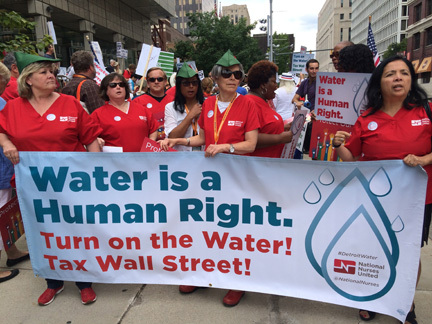 Aug. 29 rally and speak out in downtown Detroit in Grand Circus Park. This meeting will be held at the Moratorium NOW! Coalition offices located at 5920 Second Avenue near Antoinette near the Wayne State University campus in Midtown Detroit. We are inviting all progressive community organizations, labor unions, youth and professional groups to join us in planning for this event. The issues we are focusing on impact hundreds of thousands of people in the city and its environs. What we need now are people to distribute some 5,000 flyers announcing the event. Also organizations and individuals are encouraged to endorse the event and provide speakers. Please come out this coming Monday and bring your ideas and willingness to work in the burgeoning struggle in Detroit. * Stop police killings and brutality – jail killer cops; Black, Brown, Native, LGBTQ lives matter! * Demand world class public mass transportation and paratransit services, for people with disabilities! * Shut down Enbridge’s oil Line 5 under the Great Lakes, no tar sands oil, ban fracking, stop Marathon’s environmental racism—System change not climate change! 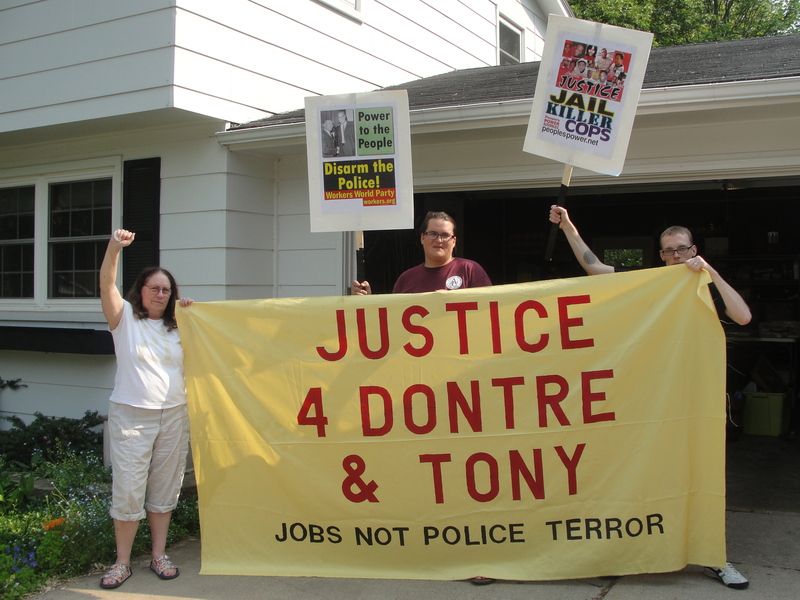 * Protest jailing of Benton Harbor’s Rev. Edward Pinkney, victim of a racist frame-up! * Full employment now. Make the banks pay for a $2 billion program to put our youth to work rebuilding the city! Partial list of endorsers: Moratorium NOW Coalition (Moratorium-Mi.org); Detroit Active & Retired Employees Association-DAREA; Fight Imperialism, Stand Together-FIST; Michigan Emergency Committee Against War & Injustice (MECAWI.org); Wisconsin Bail Out The People Movement, Workers World Party (workers.org); Stand Up Now!. “…The relations between the Palestinian and Venezuelan people have very deep historical and political roots and no one can divide them. 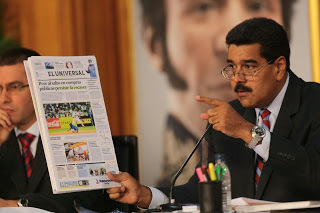 The only “scammers and swindlers” are the private owners of “El Nacional” newspaper attempting to trade the Palestinian students in Venezuela for its objectives in local elections and to speculate on the Palestinian cause in an electoral climate that is unfavorable to reactionary, right-wing and pro-Zionist forces. We are confident that the attempts of “El Nacional” are doomed to fail and they will face another defeat in the National Assembly elections next 6 December. Viva la Lucha Antiimperialista – Anti-sionista! Viva la Amistad entre Palestina y Venezuela! Patria …. socialismo …. o Muerte! Brooklyn, NY August 9: 1 Year Commemoration of the Murder of Michael Brown, the Ferguson Rebellion, & the Black Lives Matter uprising. 1 Year Commemoration of the Murder of Michael Brown, the Ferguson Rebellion, & the Black Lives Matter uprising. Last August, the execution of another unarmed young Black man, Michael Brown on the streets of Ferguson Mo, ignited a rebellion against racist police violence. That rebellion, which came to be known as Black Lives Matter, spread across the nation and the world. The Black Summer coalition, which includes many of the forces that have been fighting police violence, invites you to commemorate the one year anniversary of Ferguson on Sunday, Aug. 9 at 12 noon in front of the Barclay center in Brooklyn (address). The police war against Black and Brown people must end. All lives will matter, when Black Lives Matter.